The world is often been referred to as “a global village’. Countries are interdependent on each other in the area of trade and commerce. More than 80 percent of global trade measured in volume is carried by sea to ports worldwide. Shipping or maritime transport is an economic enabler and fosters trade competiveness even in landlocked countries that do not have the advantage of coastal states. Seaborne trade reached over 9 billion tons in 2013 a record high due to the opening up of markets in China and increased trade with Asian countries. 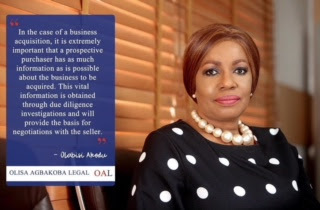 In conclusion, we see that cabotage has failed woefully to build indigenous capacity in shipping which has resulted in the loss of trillions of Naira in revenue for the government. To turn things around will require a cabotage enforcement action plan which will involve a review of the Cabotage Act especially Sections 2, 3, 5, 9, 10, 11, 12, 15, 22, 23, 29, 33 and 39. 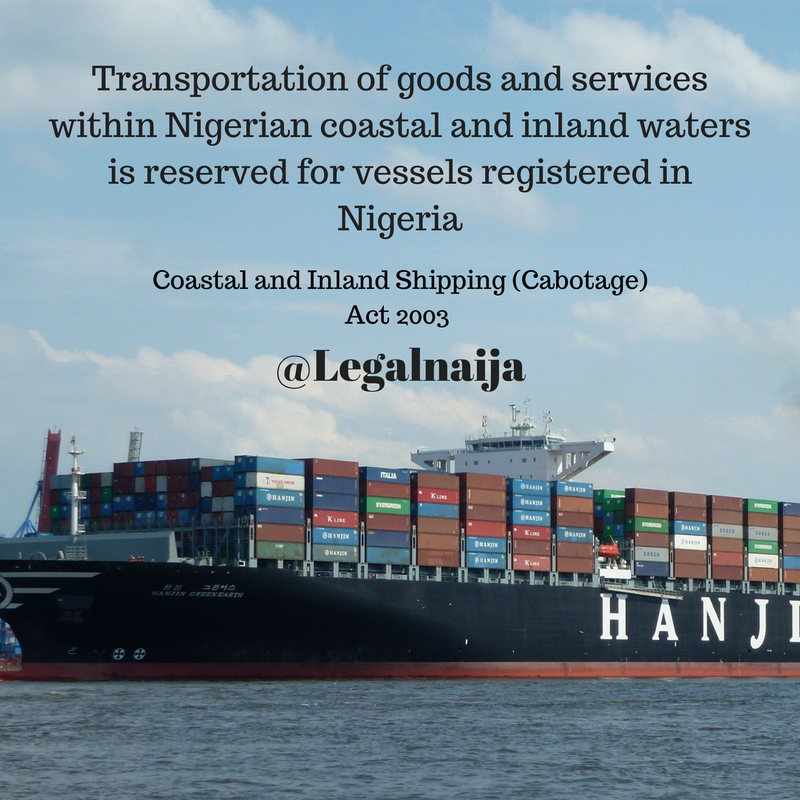 The maritime industry needs a total overhaul of legal and regulatory framework. It is crucial that stakeholders come together to seriously discuss the industry and lay down an ACTION PLAN that will be presented to government for immediate implementation. Cabotage presently is not working and will not work until certain parameters are reviewed, revised and restructured. There is no rocket science required to understand the fundamentals of having a vibrant and robust shipping sector. Job opportunities such as Seafaring, Stevedoring, Operators, Managers, Brokers, Dockers, Ship-builders, Charterers, Freighters, Cargo handlers, Insurers, legal services etc the list goes on and on, will eventually be created and contribute to the Nation’s GDP. There is a dire need to transform infrastructure in the sector for better cabotage effectiveness. 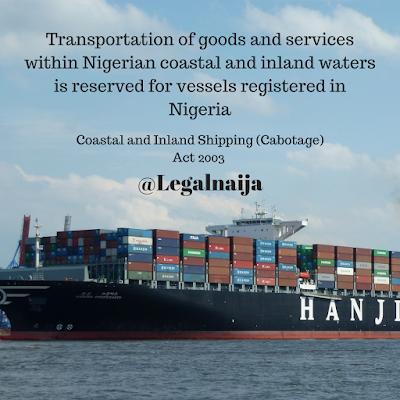 Our ports system will have to be re-evaluated which may necessitate the quick passage of the Ports and Harbour Bill by the National Assembly. The Bill will give legal backing to the privatization of the ports and will encourage foreign and domestic investment when passed into law. A wind of change is blowing through the maritime industry and it is crucial that all stakeholders are emboldened to collaborate in order to revamp the sector.